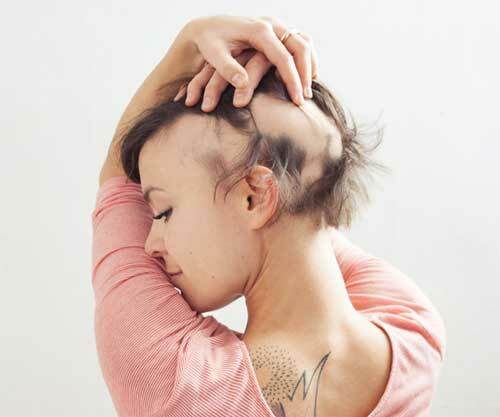 Alopecia is a common form of hair loss, whether it be Alopecia Totalis, Alopecia Universalis or Alopecia Areata. Dealing with this form of hair loss can be very stressful. We as a team have been able to help our clients deal with this in such a way where the client does not have the need to hide away or make changes on a daily basis to their appearance. The first thing to do is to identity whether or not you suffer from Alopecia and what kind it is that you are dealing with. There are many different types but the more common ones we work alongside our clients with are Alopecia Totalis, Androgenetic Alopecia and Alopecia Areata.